South Korea's professional Nexen Heroes baseball club are set to face a change in their ownership structure after they lost a trial against a US-based businessman on Friday. The Heroes filed a lawsuit claiming that it doesn't owe a debt to Hong Sung-eun, chairman of the Atlanta-based real estate developer Rainier Group, but the Seoul High Court dismissed the ball club's appeal and upheld the lower court's decision. Hong has been saying that he did not get a 40 percent stake of the ball club that former Heroes President Lee Chang-suk had promised in exchange for 2 billion won ($1.75 million). Lee claimed that he had never promised shares of the club. After a long tug-of-war between the two sides, the Korean Commercial Arbitration Board in 2012 ordered Lee to give Hong a 40 percent stake in the club. In 2014, the board's decision was backed by a Seoul court which also ruled that Lee must give a 40 percent stake to Hong. Lee, however, didn't follow the order, and Hong last year requested a prosecutor probe against the baseball club owner over fraud which saw Lee indicted on charges of fraud and embezzlement regarding the case. The Heroes later launched a confirmation lawsuit of the absent debt, claiming that they are not liable to give the share to Hong. If the latest court ruling is confirmed to be the final, the club needs to transfer 164,000 shares to the Korean-American businessman. 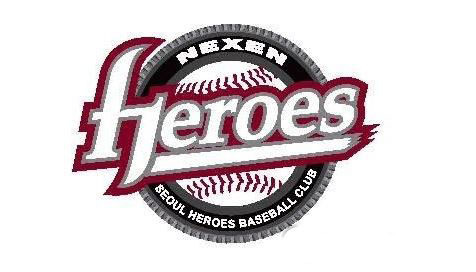 The Heroes joined the Korea Baseball Organization before the 2008 season, replacing the cash-strapped Hyundai Unicorns.